With so many ways you can mod Minecraft’s look and feel, why shouldn’t you also be able to customize our hero Steve? Admittedly, his base design is pretty lackluster. The good news is all players in Minecraft can easily change their skins. This is a feature which Mojang, the creator of Minecraft, actually supports. With that being said the Minecraft community has developed and shared countless skins that you can install on Windows PC’s or Mac’s. With a new skin you can enjoy adventures as your favorite game or movie character or maybe even as your own unique creation! The process of discovering and downloading new Minecraft skins on the Web is rather simple if you stick to the following steps. Example of what the PNG file looks like. 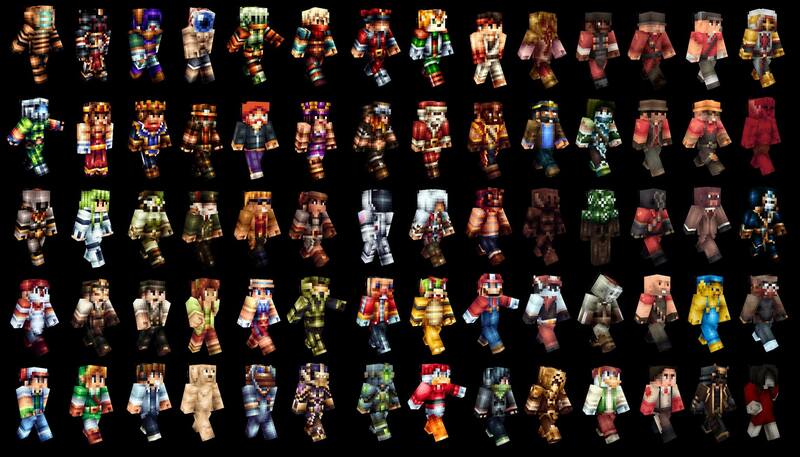 Minecraft skins are very lightweight image files in PNG format. The uninstalled skins resemble non-assembled paper dolls. 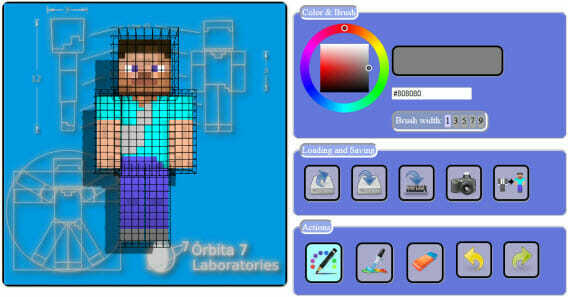 You can download multiple free skins from websites like Skins4Minecraft. You can save your skins anywhere on your PC, just do not forget the name of the folder. Before you start downloading dozens of skins right and left, you need to know how to install them on Windows. Ensure that you have Minecraft installed, of course! By default, the latest version is recommended; however, one can use an older version as well. You need a Mojang account and profile, as well as the PNG file of the Minecraft skin you want to install. 1. To search for a particular skin, visit Skins4Minecraft.com. 2. Go to Minecraft.net, and log in into your account. 4. You will see the section where you can change your skin from the default Steve skin. You can drag-and-drop or click select a file in order to upload it. The PNG skin file is usually tiny and strange-looking! 5. Wait a second, load up Minecraft game, and boom, meet your new avatar! Those Mac users wondering how to download a skin in Minecraft mac version, should not worry: the process is almost the same. 1. Go to Minecraft.net and log to your account. Click “Profile” and scroll down to the section “Change how you look in Minecraft”. 2. Click on “Choose file” section and then upload. 3. Start up the Minecraft game and enjoy your new look. You can have a look at your character from a third-person perspective, as well as from the front by clicking the F5 key any moment inside the game. There are thousands of free downloadable skins available for Minecraft, the amount of choices can seem mind boggling, but at the end of the day it comes down to personal preference and what you want your character to look like. The #1 reason Minecraft became a worldwide phenomenon is its army of fans which number in the millions. With millions of hours spent in the game by its players in every single continent, you can expect tons of innovation from Minecraft devotees well into the future. 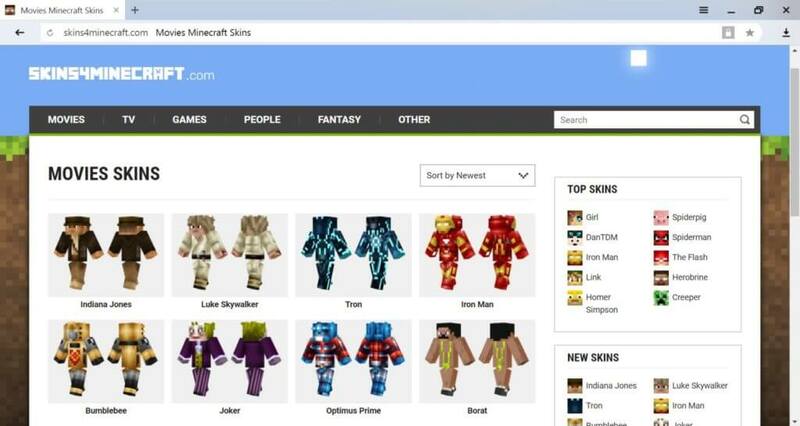 Make sure to keep checking sites like Skins4Minecraft.com every now and then to see if any new exciting skins get uploaded. Have you changed your Minecraft skins lately? Do you find it an easy process or a tedious one? Let us know in the comment section below.